This Sunday, 14th June, is the Cally’s 5th annual festival. 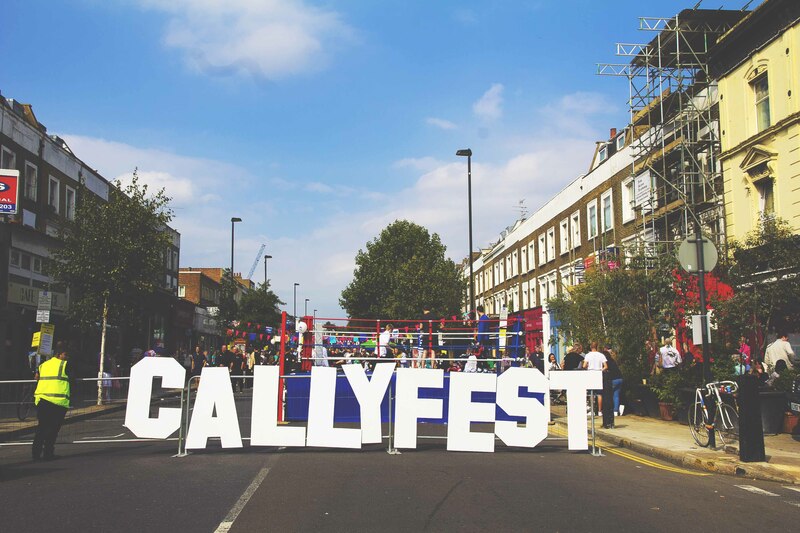 It’s the pinnacle event to an all-year-around programme of improvement to our neighbourhood and high street that aims to bridge the gap between the many communities in Cally. The Festival shows that we really are a community that’s pulling together. On Sunday, the entire main road between Cally Bridge and Cally Pool will be closed and filled with a street market, dancing, story-telling, a kids zone, street theatre, arts & crafts, food & drink plus, of course, lots of live music. And about 8,000 people. Click here to download the official festival programme which shows 2015 is going to be the most ambitious ever. The weather forecast is looking good for Sunday too: dry, light cloud and sunshine with the temperature reaching about 18 degrees by lunchtime. It all kicks off at noon. There will be a short (very short) “civic” moment at around 4.15pm at the main stage when the Mayor will appear along with MP, Councillors and Leader of the Council. Local Councillors, Rupert Perry, Una O’Halloran and Paul Convery, look forward to seeing you on Sunday. We’ll be “circulating” or find us at the Cally Labour Councillors stall.